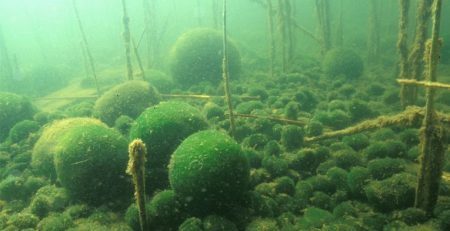 These spherically-shaped balls of algae are be considered to be a national treasure in Japan, where they rise and fall in Lake Akan due to the oxygen they produce in sunlight. They are even protected by law there, though that may not stop them from being stolen, of course. These balls are typically used for decoration inside an aquarium, so their physical shape is obviously important. Let’s consider spherical growth as an objective here. Moss growth is all about how algae reproduce: splitting. We want to encourage that splitting, but guide it. Let’s start by taking an existing moss ball and split it into 8-10 parts. 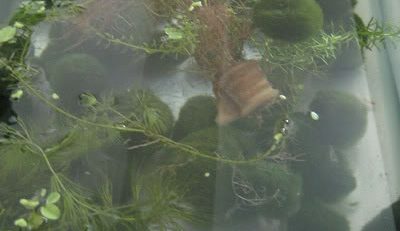 This will do two things: expose more algae cells in the sections to sunlight and nutrients as well as purge any debris that the moss ball has accumulated at its center. Both of these things help increase the growth rate by removing the obstacles to growth. Now, spread them out on the bottom of the aquarium and let them be. It’s important that you make sure they are exposed to excellent lighting conditions, because without that light they won’t grow quickly. Don’t allow growth inhibitors to be around the balls, including copper, debris, and other plants. Give them light and food. After a day or two, you can help the spherical shape evolve by creating a circular water flow surrounding them. This is how they grow in the wild. Alternatively, you can roll them manually. 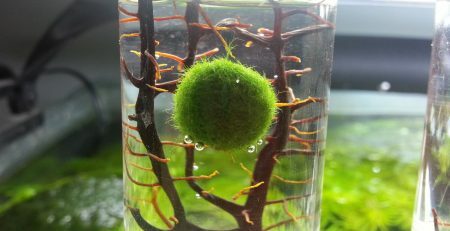 Wait a week or two, and your baby moss balls should be thriving. They grow up to be about 4 to 12 inches in diameter. Originates From: Lake Akan, Japan, Iceland, Scotland and Estonia in freshwater lakes. They have also been found growing in the streams of Idaho.